All medical procedures have some degree of inherent risk. When things go wrong, it is not always the fault of the medial professional who is handling the situation. Sometimes an amalgamation of unforeseen events causes a patient to suffer unexpected consequences. These are what are known as adverse events. According to a paper from the National Institutes of Health (NIH), there is a big difference between such adverse events and negligence. Negligence implies that the less-than-great consequences of the medical procedure are the fault of the medical professional. Additionally, thousands of errors are made every year “resulting in injuries to patients who many deserve compensation.” Yet it can be challenging to determine what constitutes medical error and what is resultant from the standard risk inherent to medical procedures. According to the NIH, a Harvard Public Health study found that roughly 27 percent of adverse effects from medical procedures occur because of negligence on the part of a medical professional. “Medicine is not an exact science,” the NIH states, “and complications are an inherent feature of any procedure or medical intervention.” Surgeries, across the board, typically carry a 3 to 4 percent risk of infection. While sterilizing equipment and ensuring that all professionals are held to the highest standard of cleanliness can help mitigate the risk of infection from unsterile objects during surgery, there is still this risk during a surgical procedure. 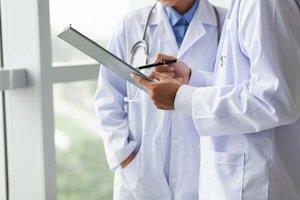 If you suspect that you have been the victim of medical error, the most important step is to seek legal counsel. Do not go through it alone. 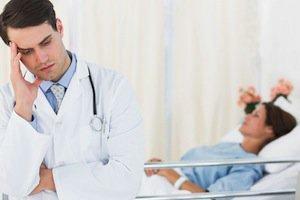 Contact an experienced Westport medical malpractice attorney today.